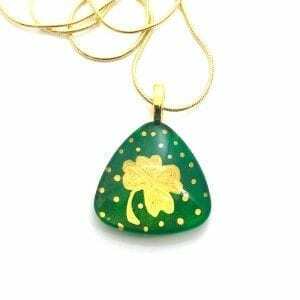 Four leaf clover pendant hand painted on a clear glass cabochon. The cabochon is 3/4 inch triangle. Each leaf of a four-leaf clover has a meaning — faith, hope, love and luck. 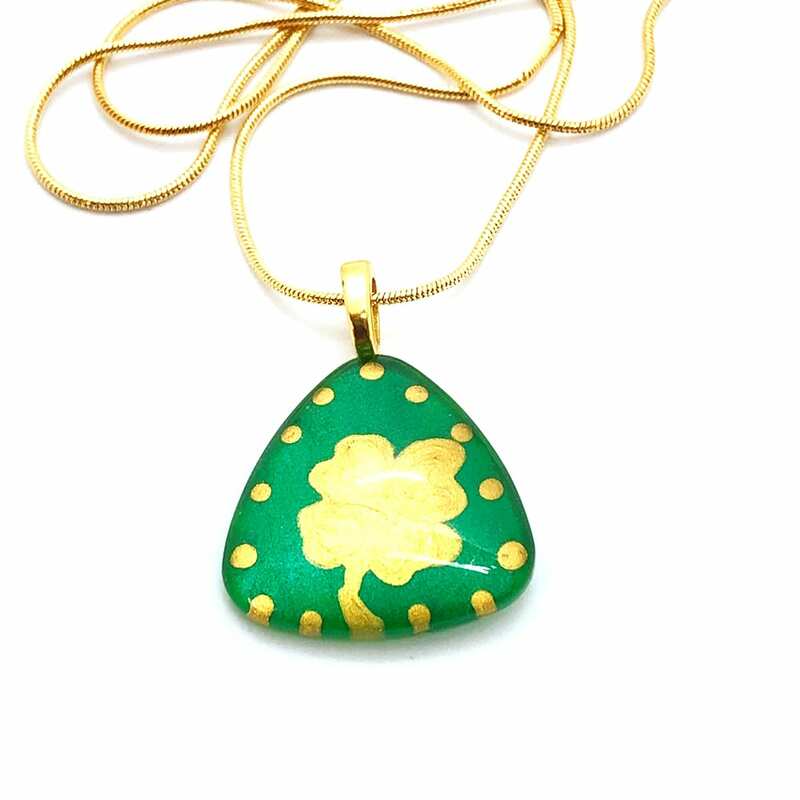 The clover brings good luck and protects against evil. 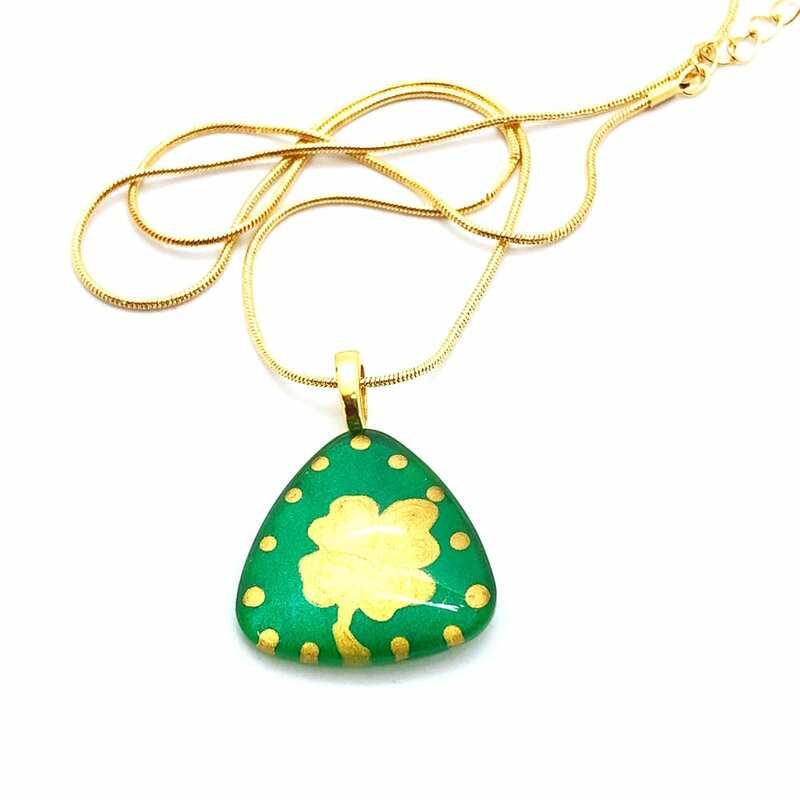 This St Patrick’s Day, gift yourself or a loved one the four leaf clover pendant. It is painted in gold on emerald green background. 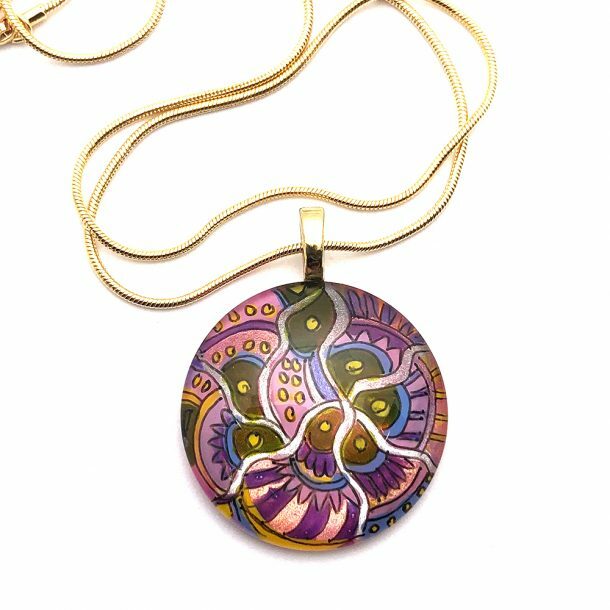 The pendant is connected to a gold plated Anaraku bail and finished with a gold plated brass chain. 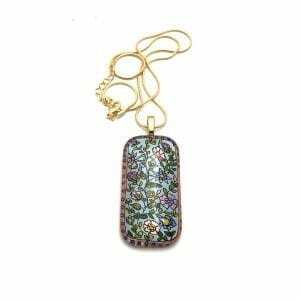 Customize the pendant with a freshwater pearl gold or silver plated wire-wrapped chain. 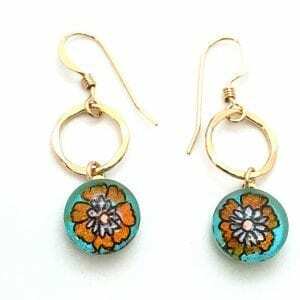 Click here to learn about the process of how the hand painted glass jewelry is made. Get Insider news, special offers, discounts, new arrivals, event invitations, & more. Sign up and receive a coupon for 15% OFF your purchase.